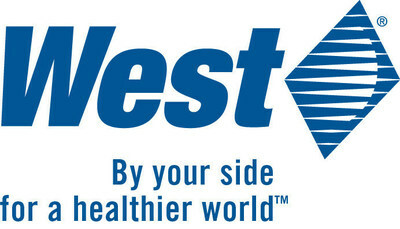 EXTON, Pa., May 15, 2017 /PRNewswire/ -- West Pharmaceutical Services, Inc. (NYSE: WST) today announced that the Company's Board of Directors has approved a third-quarter 2017 dividend of $0.13 per share. The dividend will be paid on August 2, 2017 to shareholders of record as of July 19, 2017. The Company also announced that management will be presenting an overview of the business at three investor conferences in May and June. Management will present at the Bank of America Merrill Lynch 2017 Health Care Conference, Las Vegas, Nevada, at 10:00 a.m. PDT on Wednesday, May 17; the 2017 UBS Global Healthcare Conference, New York, New York, at 2:00 p.m. EDT on Tuesday, May 23; and the Jefferies 2017 Global Healthcare Conference in New York, New York at 8:30 a.m. EDT on Tuesday, June 6.